In Serpentshrine Cavern, Lady Vashjâ€™s Coilfang Striders should no longer be able to consecutively fear players. Chefâ€™s Hat again speeds up cooking. The Hunterâ€™s Call toy no longer summons any pets that can be battled. â€œSlay Them Allâ€ now rewards gold and a Fel-Touched Crate of Battlefield Goods. 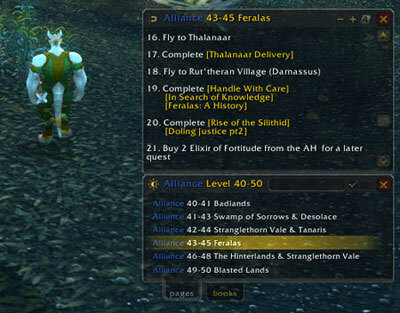 â€œAshran Dominanceâ€ now rewards gold, a Fel-touched Crate of Battlefield Goods, and a Mark of Honor. Kadrak is now present and the quest â€œWarchiefâ€™s Command: Ashenvale!â€ can be turned in. Crown of the Fire Festival should again appear as a valid transmogrification source if youâ€™ve completed the quest â€œA Thiefâ€™s Rewardâ€. The quest â€œThe Future of Rockpoolâ€ can again be completed. Mistcallerâ€™s Charm, used to summon Mistcaller Yngvar for the quest "Mistcaller Yngvar", now functions properly. General Grimaxe should no longer despawn after he has dismounted during â€œGrimaxeâ€™s Demiseâ€. Players are now able to complete the quest â€œUnbroken Circleâ€. The NPCs who went missing from Hrothgarâ€™s Landing have been returned. The questgiver Lord Maxwell Tyrosus should not disappear after you accept the quest â€œArgent Call: The Trial of the Cryptâ€. Corrected an issue that could reset progress on the Shipyard quest â€œNaval Dominationâ€ and restored previous quest progress. The Therazane quest â€œControlling the Elementsâ€ should again be obtainable for characters who are level 80 and up, and have trained Enchanting. (Work in progress) Fixed a bug that was preventing the Worgen quest â€œEndgameâ€ from being available.